Most of the area considered LeDroit Park is an officially designated historic district within the District of Columbia. The LeDroit Park Historic District is roughly bounded by Rhode Island and Florida Aves. on the south; Howard University on the west; Elm St. on the north; and 2nd St. on the east. 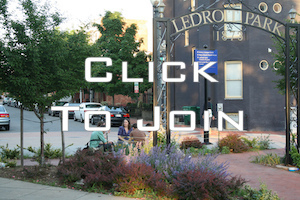 View the LeDroit Park Historic District brochure from the DC Historic Preservation Office. What is an historic district? Over 30 neighborhoods that vividly illustrate the city’s history and physical make up have been designated as historic districts in the District of Columbia. LeDroit Park, Capital Park, Strivers’ Section, Cleveland Park, Takoma Park, Massachusetts Avenue, Anacostia, and Georgetown are among the many historic districts spread throughout the city. They were established for a wide variety of reasons. They may be significant as sites or are important historic events or as outstanding examples of architectural design and workmanship; they may be monumental or simple; they may be commercial or residential. But they all have a special quality worth preserving. Historic districts reflect pride in the character of neighborhoods and a desire on the part of neighborhoods and the city to protect their assets. Historic districts are an important planning tool for the city, a way to improve the quality of life, and a way to ensure that new development enhances the historic character and scale of a neighborhood. What does having a property in an historic district mean for me as a property owner? If your property lies within an historic district, the law protects the district by establishing a special review process. This process ensures that proposed work is compatible with the nature of the historic property and with the character of the historic district as a whole. Plans for new construction, exterior alterations, demolition, or subdivision of land that require a city permit must be reviewed before any action may be taken. This includes actions such as additions to existing buildings, removal of porches, erection of a sign or retaining wall, and additions of antennae or roof decks. Demolition and new construction are also reviewed. Photographs and construction documents will be required for the review process.